This will probably sell out the closer we get to the holidays, so don't miss out on this deal now! 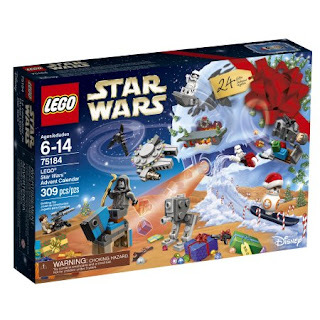 Head on over to Amazon where they are offering up this newly released LEGO Star Wars Advent Calendar for only $34.76 shipped! Or – if you prefer, you can also score this same advent calendar from Walmart for $34.76, available for in-store pick up only. Each day in December, your kiddos will open up a door to reveal a Star Wars themed mini-figure, starship, vehicle or other themed collectible – a total of 24 gifts, including 8 mini-figures and a Battle Droid.